A change as simple as switching to a cold weather-friendly formula can leave you with a hydrated glow. Wintertime brings hot cocoa, pom pom hats, and cozy sweaters ... as well as sharp winds, freezing temps, andÂ overheated office spaces. 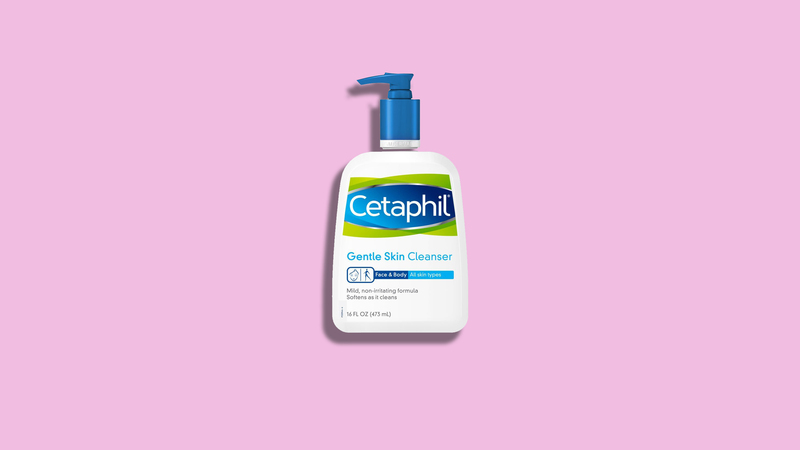 This can meanÂ dry, flaky skinânot cute. The good news? A change as simple as switching up your foundation to a cold weather-friendlyÂ formula canÂ help keep flakes at bay and leave you with a hydrated, glow-y complexion. A formula that glides on easily will help even out skin tone. It's important to find one that's light and moisturizing, soÂ it won't cake in fine lines. We like Sephora Collection Teint Infusion Ethereal Natural Finish Foundation ($24; sephora.com). It has an eye-dropper applicator that picks up just enough product for each use. And thanks to flower extracts, it alsoÂ works to help reduce the appearance of fineÂ lines over time. You've heard it time and time again, but it's true: A flawless complexion needs water. In addition to drinking plenty of H20 each day, try switching to a hydrating foundation such as Too Cool For School Dinoplatz La Ola 4-in-1 Makeup KitÂ ($49; sephora.com). This BB foundationÂ compact is namedÂ "La Ola" after the Spanish word for "waves" because of the water particles in the foundation. They burst on contact with skin to hydrate and add a cooling sensation, making this formulaÂ ideal for calming skin before you goÂ out into the winter air. Bonus:Â There's an additional compartment that containsÂ highlighter, concealer, and blush for easy on-the-go application. Women with oily skinÂ tend to steer clear ofÂ liquid foundations in fear of making theirÂ complexionsÂ greasy. The solution? Mineral-based foundations go on with ease like a liquid, but dry like a powderâkeeping skin hydrated but notÂ oily. We likeÂ Koh Gen Do Maifanshi MoistureÂ Foundation ($62; sephora.com). It's formulated with moisturizing botanicals that plump skin and giveÂ you a youthful glow. Yes it's winter, but the sun can still cause damage. If you have trouble rememberingÂ to wearÂ sunscreen throughÂ the colder months, you might want to considerÂ a foundation or tinted moisturizer with SPF.Â Try L'Oreal Paris True Match Super Blendable Makeup SPF 17 ($12; drugstore.com). It'sÂ lightweight, melts flawlessly into skin, and helps hide imperfectionsÂ whileÂ giving the appearance of naturally gorgeous skin.